So why do I need to work on a brand for my Non Profit? Marty Neumeier, a brand expert reminds us that your brand can be easily summarized in this one sentence, “It’s not what you say you are, it’s what they say you are.” Your brand is the face of your organization from the point of view of everyone else who comes in contact with it. Branding allows your audience to see and understand “who you are, what you do, and why you matter”. How, then, does branding apply to non-profits? Whatever strategies you use, the end result should always be to showcase the value your work adds to the world. For nonprofits, this translates to your brand being a combination of your mission, values, strategy, relationships, impact — and their value to the world. 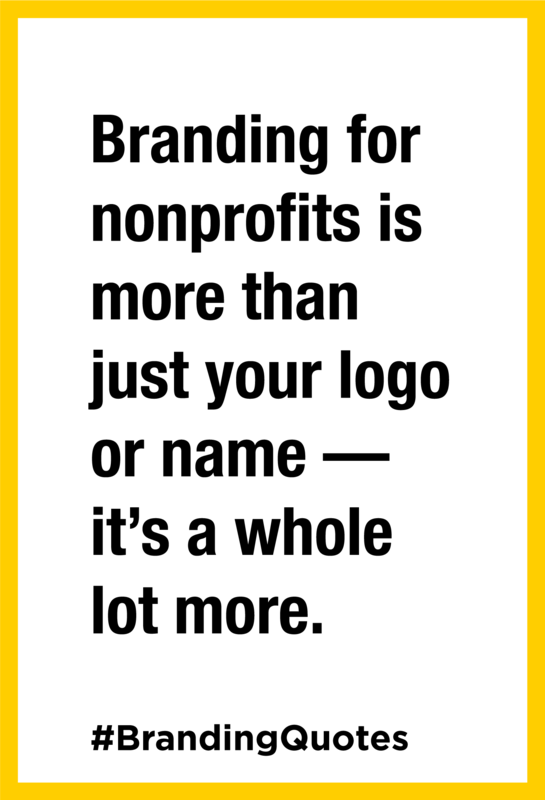 Branding for nonprofits is more than just your logo or name — it’s a whole lot more. Your name and logo represent only parts of your brand; they do not define it. Your brand is the whole! Branding is telling your story to your audience and showing them why your organization matters. It involves defining what experiences people will have when they interact with your organization whether online, in-person, or on paper. This means everything from the delivery of your services, your interaction with donors and volunteers, your office space, all printed marketing collateral, your website and even your social media presence, all build up the perceptions they have of your brand. The key in all of these, therefore, is cohesion. Your identity, wherever it is encountered, should always remind people of the whole, and give them an experience they expect. Effective branding differentiates your organization from the countless other non profits that the public can choose to support. It should convey a clear, consistent and cohesive identity and communication for everything associated with your organization. Branding is usually overlooked in nonprofits but great brands know that the more consistently they reinforce their reputation, the more likely supporters will remain loyal. Because when people strongly identify with a nonprofit’s brand, their reasons for supporting the organization move beyond the rational to the emotional; the brand becomes part of who they are and what they value. It becomes a kind of shorthand for things about which they care deeply and reinforces their belief that they can become part of the solution through their active engagement with the organization. Therefore, a nonprofit’s brand is much more than just good messages and visuals. It’s the DNA of an organization’s ideas, expertise, relationships, resources, and experiences, and guides it’s organizational culture by bringing people together around a shared vision and shared value. Brands are as much about strategy as they are about creativity. 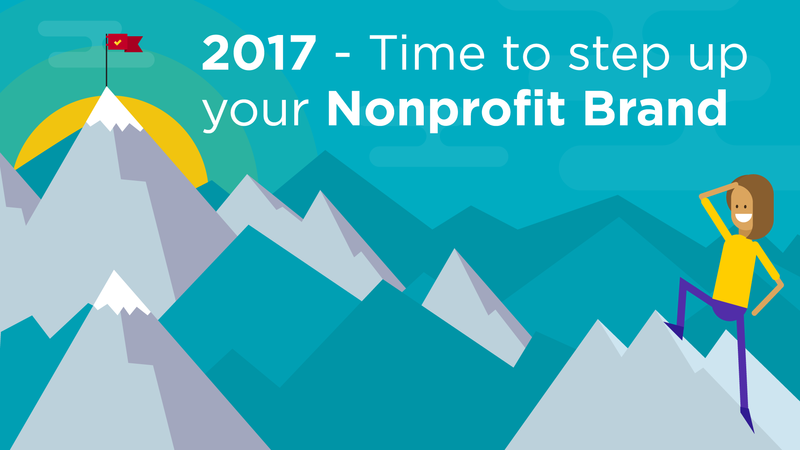 The main aim of all nonprofit branding is the same: to create an informed, interested audience. That way, they will recognize you when presented with opportunities to engage with you (like donating or volunteering). They will know what you do, why you matter, and they will be able to see the link between any initiatives, and your overall goals. Here are a few reasons why you should invest time developing a strong brand for your Non – Profit. When raising awareness on any issue, it’s important to help people easily identify you from a crowd. Branding your nonprofit will help your audience associate your cause with your organization, so when they want to take action, they know where to turn. Branding creates a pre-existing relationship so that when you want them to engage, they will readily do so, because they know you and what you stand for. A key element in branding is therefore identifying your audience. Ensure that all your branding and marketing efforts are targeting and reaching the right people, which will in turn results in the growth and reach you want. Think about your favorite brands: clothes, shoes, coffee, cars—you name it. If you know that the brand delivers good performance, you make it a staple. You will always return to it, because it delivers on their promise. The same is true of a nonprofit’s audience. If a nonprofit actively demonstrates it is making a difference, its audience is more likely to return when it wants to take action for a cause. Mindful branding keeps your nonprofit in control of its image. It may seem obvious to you that your work is working toward positive social change, but don’t rely on your own convictions to win supporters. Many supporters need more persuasion to support your nonprofit. Actively managing your image will affect whether or not others interact positively with your nonprofit. If you really want serious donors and partners, there should be a thought out, seamless engagement with the branding process at all times. This is the part of your non-profit that continuously ‘speaks’ to them, until the time they finally decide to engage. Most donors today prefer to view their financial contributions as investments in your work and vision. Use branding to present yourself as the best possible choice. If you can clearly show that you understand your purpose, as well as the future prospects of what you do, they will develop the confidence to work with you. Throughout the branding process, you should always think about attracting the biggest possible audience. The use of color or development of taglines should be designed to appeal to as many people and networks as possible. If this is not currently the case, then you should consider a rebrand. Your networks do not need to be related to each other in any way; they only need to recognize and respond to your brand from their respective positions. Your brand becomes an important relationship building tool. Through it, you can reach out to partners, donors or any other groups you are targeting. A clearly defined, consistently communicated brand helps build the connection and trust needed to advance fundraising efforts. It makes your vision and promise clear, aligning your organizations vision and objectives of your donors and volunteers. It adds value, coherence, and meaning to your offerings by increasing awareness and comprehension around your organization and your causes. What you do, what you stand for, and why people should care. When you have sufficiently covered and understood what your brand is, you can then effectively work out how to best present it, across different channels, and for varied audiences. You will be in a position to track and optimize all these. An example is social media, which can be used to target millennials. Once you are aware, for instance, that they spend most of their time on their phones, you can work out how to design and produce content for all channels, whether written or visual. From the points above, you may now realize that building a brand takes time and deliberate, sustained effort. But the results are worth it. You will have all your goals aligned, with your image, your organization will always be in a position to accurately gauge its place in its field, and your staff will have a greater understanding of their impact. When you take time to look into all the ways in which your brand can tap into all possible opportunities, you are more likely to put your energy and strategies into efforts that will eventually bear fruit. Your networks will also become part of you, in that they actively spread the message of who you are, and what you do, and builds powerful connections. 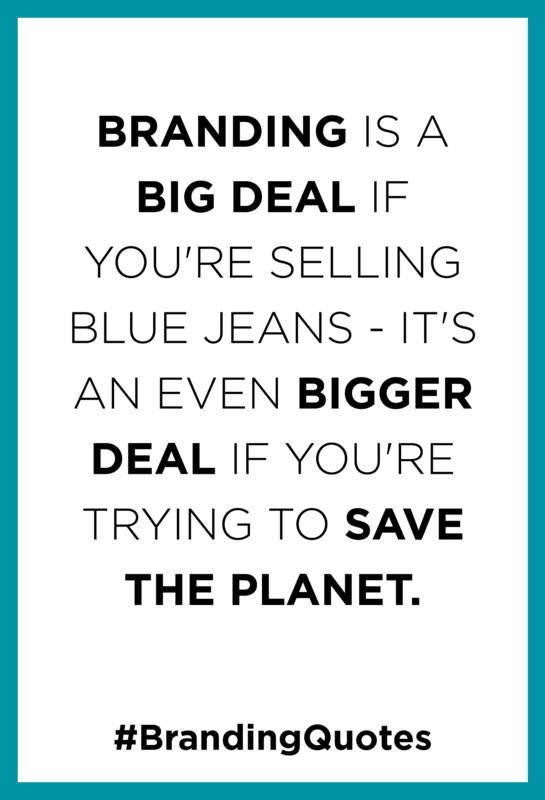 Branding is a big deal if you’re selling blue jeans — it’s an even bigger deal if you’re trying to save the planet. Non-profits owe it to their missions to be the best branders on the planet.